This book examines the contribution of women to the Humiliati movement, providing original archival evidence indicating that women dominated the group's membership. These findings have implications for both women's spirituality and women's work, correcting the received opinion that the patriarchal nature of Italian society and of the church limited the institutional options available to women. It also suggests that women found innovative ways to participate in the increasingly restrictive textile industry of the region. 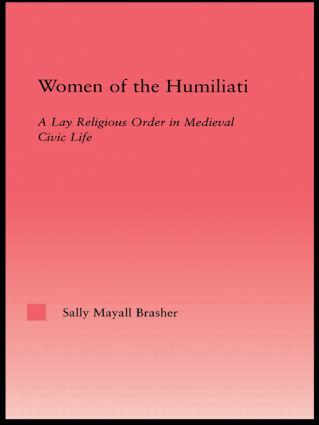 This work provides a glimpse at the novel ways in which women in medieval Italy were able to satisfy their spiritual and economic needs within the confines of a male-dominated church and society.